Travel back in time as you explore medieval castles around the Czech Republic. Driver-guide service with one person as the driver and guide is the most economical way to explore new places. Choose your own pace during our custom-tailored day trips from Prague. More time for sightseeing – Our cars and vans are faster than big buses. You will have more time for sightseeing compared to the big bus tours. 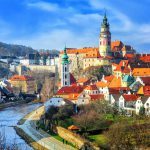 Travel back in time as you explore no.1 UNESCO site after Prague - Cesky Krumlov. Stroll along the narrow and romantic streets of the Renaissance Old Town, gaze from a footbridge over the Vltava River and explore the second biggest castle in Bohemia. Prague - Karlstejn Castle - Konopiste Chateau day trips from Prague. 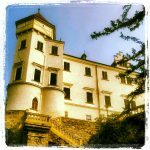 Private guided tours from Prague to the Karlstejn Castle and the Konopiste Chateua. Driver-guide services. Choose your own pace. Prague - Karlstejn Castle - Krivoklat Castle - day trips. 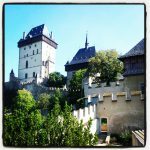 Private guided tours from Prague to Karlstejn Castle and Krivoklat Castle. Driver-guide services. Choose your own pace. Prague - Karlstejn Castle day trips. 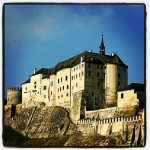 The Karlstejn Castle ranks among the most famous Czech castles and was founded by Charles IV. in 1348 to house the crown jewels. Come along this exciting tour and learn about way of life in the 14th century. Prague - Konopiste Chateau day trips. 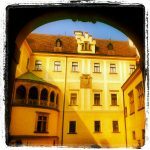 Private guided tours from Prague to the Konopiste Chateau. Driver-guide services. Choose your own pace. Prague - Krivoklat Caste day trips. 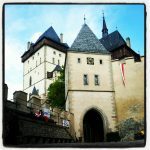 Private guided tours from Prague to the Karlstejn Castle. Driver-guide services. Choose your own pace. Prague - Cesky Sternberk castle day tours. 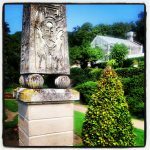 Private guided tours from Prague to Cesky Sternberk. Driver-guide services. Choose your own pace. Prague - Orlik & Zvikov Castle day trips. 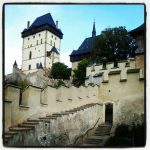 Come along this unique day trip from Prague and experience two mediaval castles and a boat trip in one day! Enjoy great views of vertical rocks on both riverbanks as you sail from one castle to the other along the Vltava River. Prague - Karlstejn Castle - Koneprusy Caves day trips. 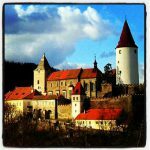 Private guided tours from Prague to the Karlstejn Castle and Konperusy Caves. Driver-guide services. Choose your own pace. Prague - Konopiste Chateau - Bone Church - Kutna Hora day tours. 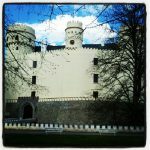 Private guided tours from Prague to Konopiste Chateau and Kutna Hora. Driver-guide services. Choose your own pace. Prague - Konopiste Chateau - Cesky Sternberk Castle day tours. Discover two castles in one day. Driver-guide services. Choose your own pace.